The previous 508 was a decent-looking car, but with the new generation, Peugeot has really upped its game. It’s definitely one of the sexiest family cars on sale today, along with the Mazda6, and while it has the shape of a saloon, it’s actually a five-door fastback. The cabin is really well put together, according to CarBuyer. Everything inside has a premium feeling, and Peugeot has really paid attention to details. Another important aspect is that there is no such thing as a poorly-equipped 508. Also, for the first time in this segment, there’s an optional night vision system available as well. Nevertheless, if you want the large infotainment system, 20-inch wheels and sporty exterior styling, then you’ll have to choose one of the top two trim levels. Boot space stacks up really well against its rivals, and there’s a decent amount of legroom on the rear bench. Due to that rakish profile though, headroom isn’t really good at the back. Old mid-size Peugeots were known for their soft ride, but the new 508’s suspension is a bit on the firm side, the trade-off being that it corners better than its predecessor. 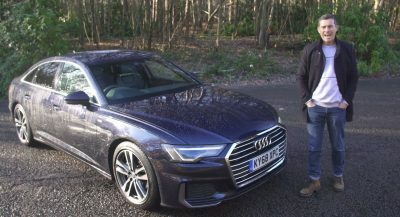 The reviewer said the latest Peugeot 508 has the ‘wow’ factor, but is it impressive enough to make you consider it over a Volkswagen Passat, Ford Mondeo or Skoda Superb? 20 inch wheels on a standard saloon/hatch. Given the amount of substandard roads, that’s just asking for trouble. The biggest ones available are actually 19” , with 17” and 18” as standard depending of the trim level. But the issue is more about the tires than the wheel. A 208 with 17” as low profil tires, a 3008 really big ones. Yep, profile is everything. In saying that a 19″ wheel ain’t gonna come with tractor tires. I agree, and while I like the look, I wouldn’t have them on my own car. Peugeot have done an excellent job on this one, I love that interior so much. Just like other cars from Peugeot the depreciation will be horrific, so could be a reasonable used bargain in a few years time. It’s just unbelievable how Peugeot in few years reached up the ‘german quality’ …, than it has the factor wow ! Don’t see the ‘Wow’ factor, let alone the rest. When is Peugeot going to get back to providing the EVs they promised and quit running fluff pieces about cars no one cares about. ELECTRIC 208!!!!!!!!!! Can I spell it out any more clearly. Hell Stohl Racing (STARD) already built you the damn prototype!!!! It’s coming in a few months. I don’t like this thing whatsoever. I find it ungainly. Its amazing generation after generation, how Honda’s copies design elements from Peugeot, especially Peugeot’s concepts. Its af if Honday hired a group to go out each year and copy ideas from them. And by Honda you mean Hyundai? Not a champion of originality to be true yet not devoid of it. Better than Audi and VW, stylewise. And unlike some think, Peugeot cars are pretty well built and reliable. I wonder if PSA would bring it to the U.S. I have no idea. Normally, Peugeot never sold many cars in the United States. These models are also an hard sell in Europe. Like the Opel/Vauxhall ones, Insignia in particular. 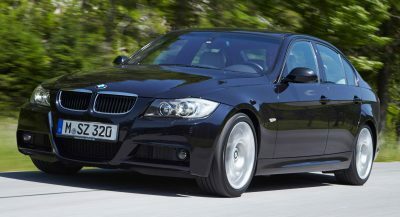 Another very well done car that doesn’t get enough customers just because of the brand. 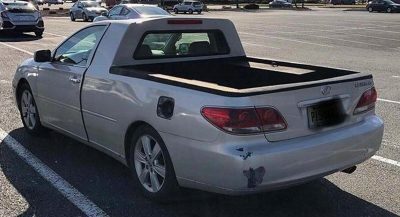 To me, it looks like it’s half Camry, half Accord. I call it Le Camcorder. Peugeot usually the least extreme of the French makes. A trip there to see their designs could burn your eyeballs. Next PostNext Can The Ford Fiesta ST Handle A 245HP Tune?